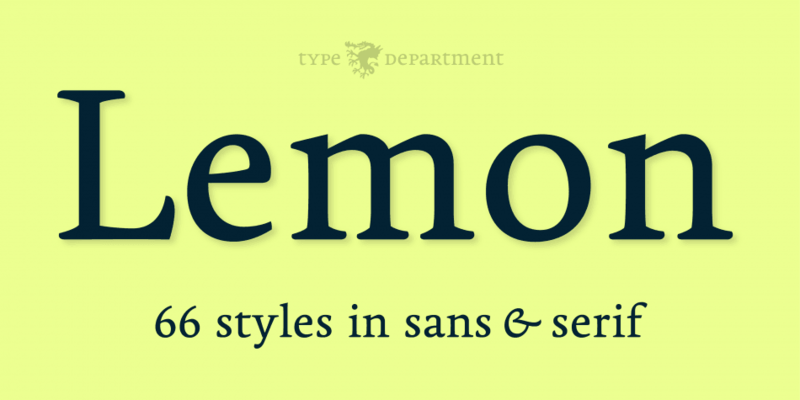 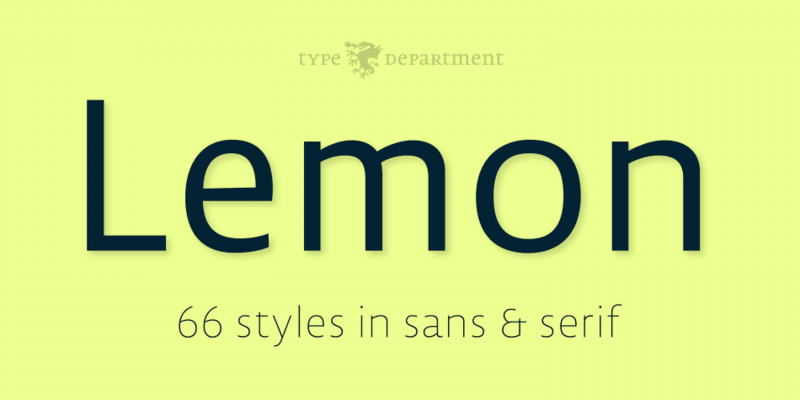 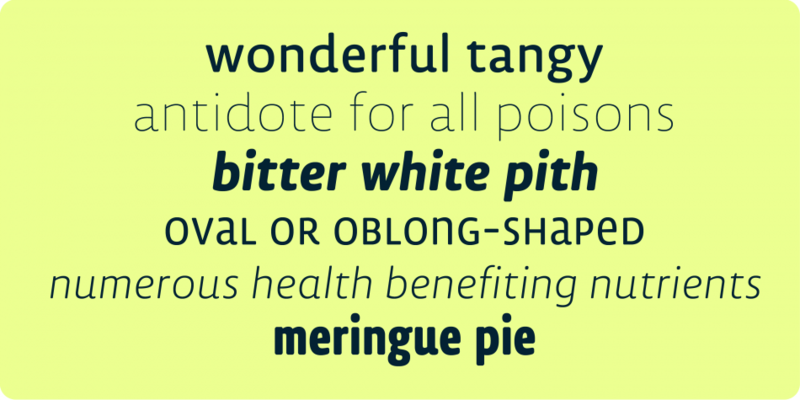 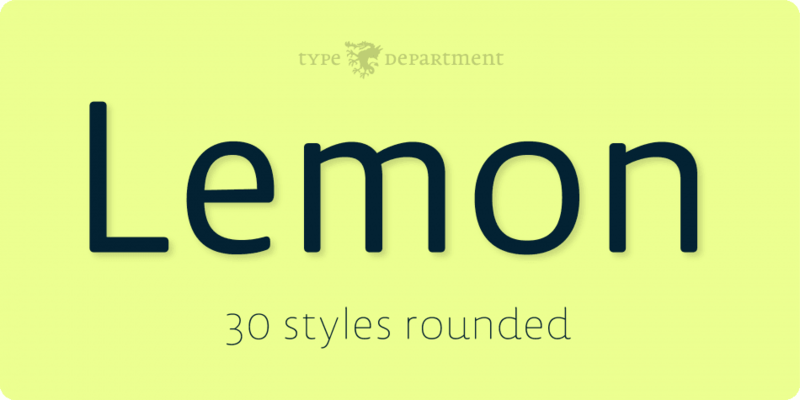 Designed by Jürgen Huber, Lemon is a multiple classification font collection published by Type Department. 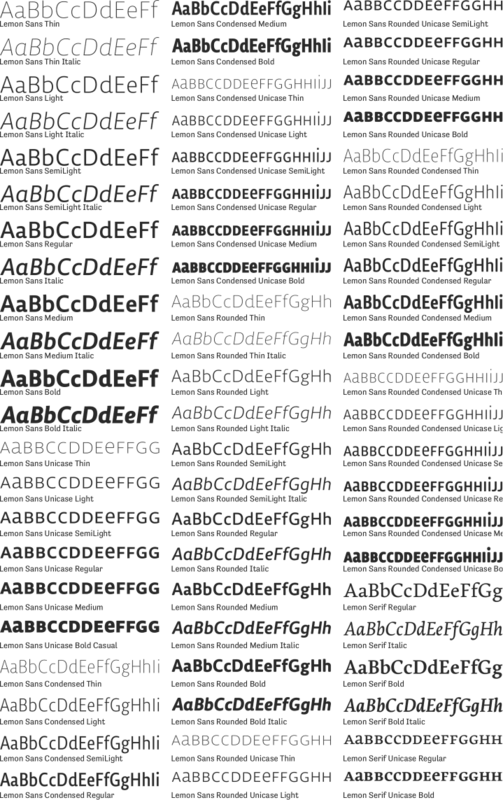 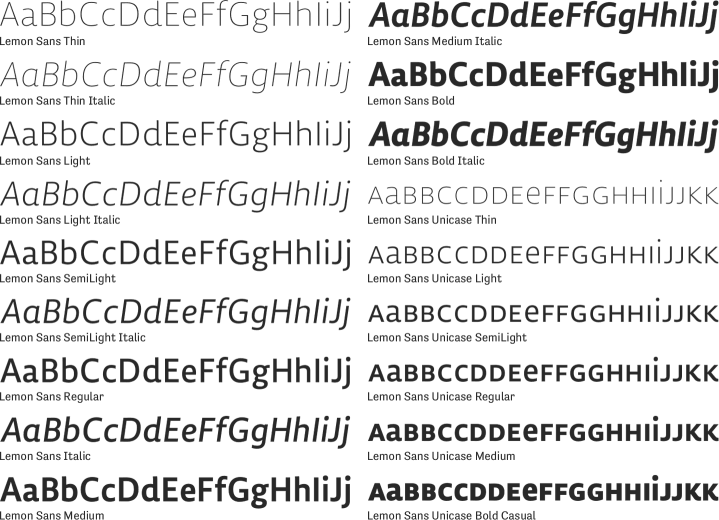 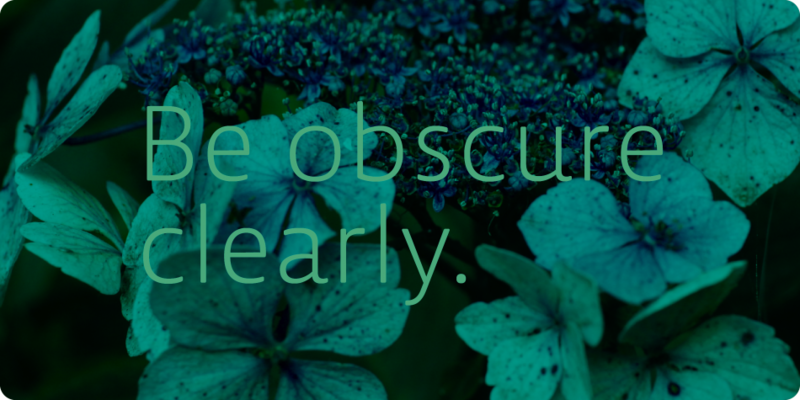 A sixty-six font super collection. 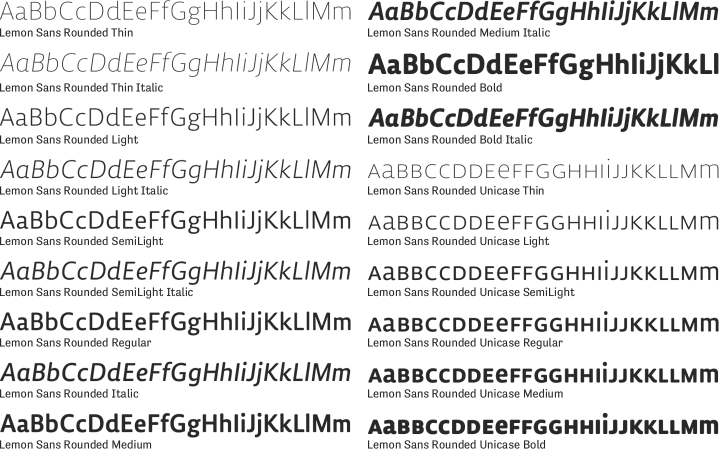 This contains every font in the Lemon Super Family. 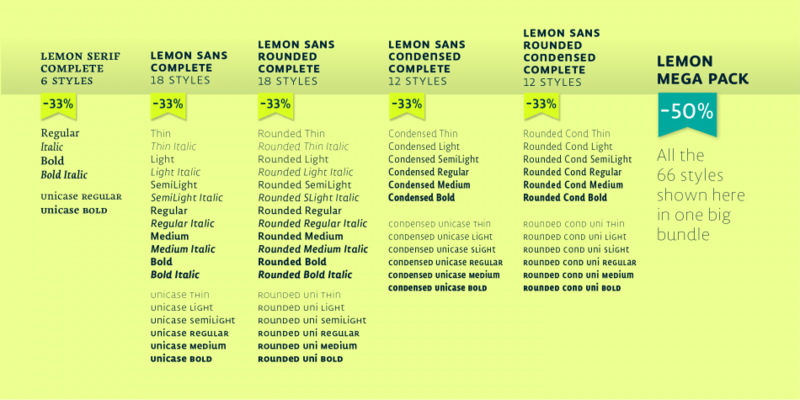 An eighteen font family that is included in the Lemon Super Family or can be purchased separately. 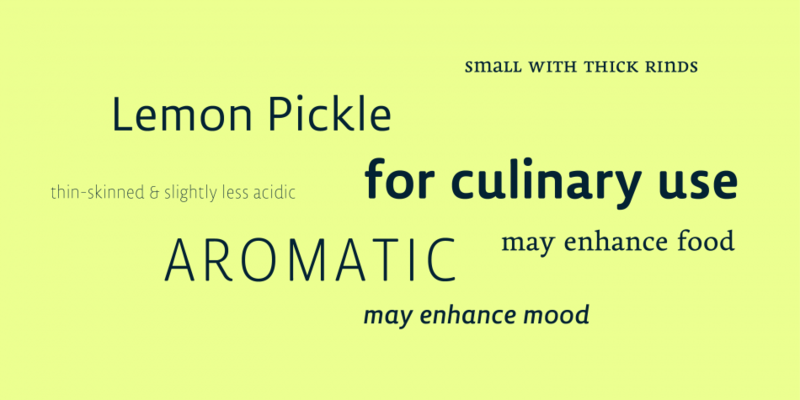 A twelve font family that is included in the Lemon Super Family or can be purchased separately. 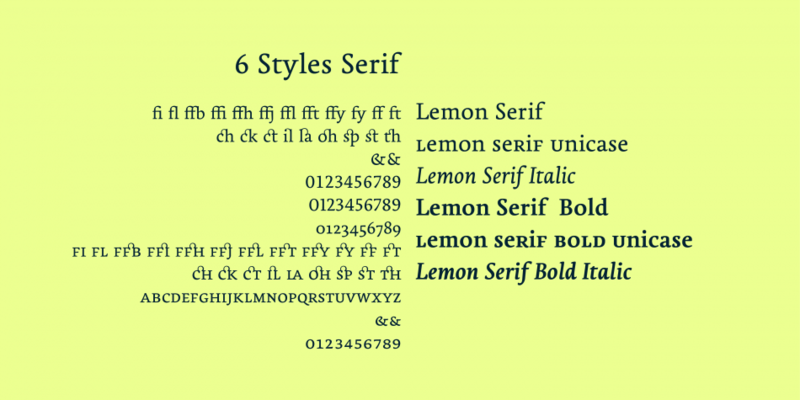 A six font family that is included in the Lemon Super Family or can be purchased separately.